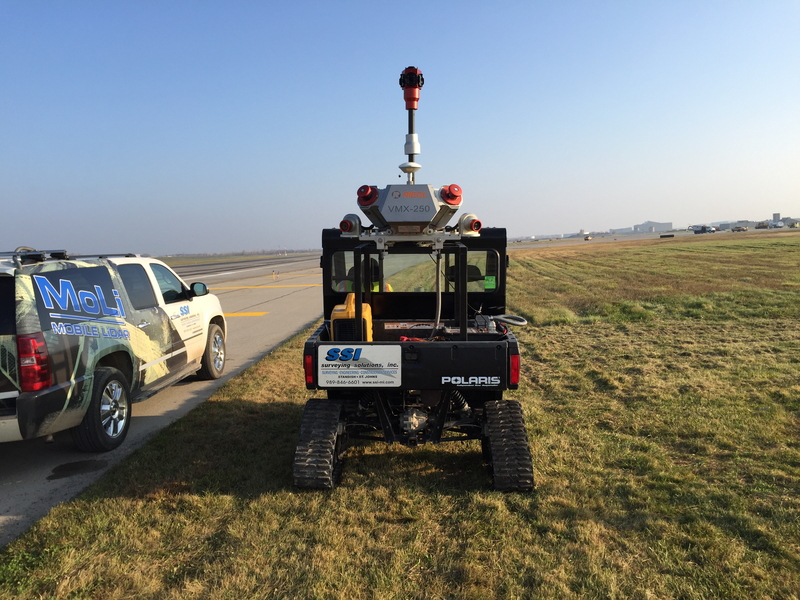 SSI Offers new Mobile Mapping Vehicle | Surveying Solutions, Inc.
SSI has added yet another Mobile Mapping vehicle to our fleet. The NEW Compact MoLi equipped with tracks allows us to scan through virtually all types of terrain with ease while minimizing the risk of disturbing the ground on which drive. This non-intrusive 4X4 vehicle makes it safe and easy to collect LiDAR data in areas that are otherwise inaccessible to other scan platforms. In addition, our Riegl scanning system is also highly portable which allows us to transfer it to any of our Mobile Mapping platforms in just minutes. Our system utilizes a design where the physical location of Scanner 1, Scanner 2, the IMU and the GPS are fixed in relationship to each other. The fixed relationship allows us to move the unit for between all of our platforms and also ensures that we maintain the same data accuracy no matter which platform we use.